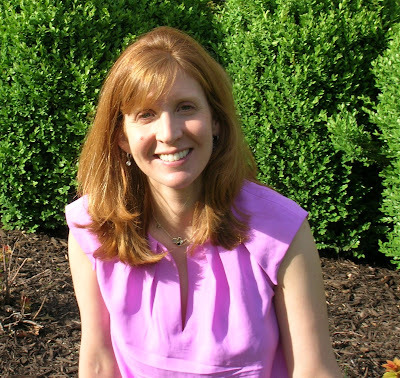 Today we feature picture book author Kathy Wolff! Be sure to enter into her giveaway for a copy of her debut book, WHAT GEORGE FORGOT below. One of my favorite things to do with my kids has always been to read with them. So, after years of reading picture books with the kiddos, I thought: Why not try to write one myself? Couldn't hurt. Might be fun! 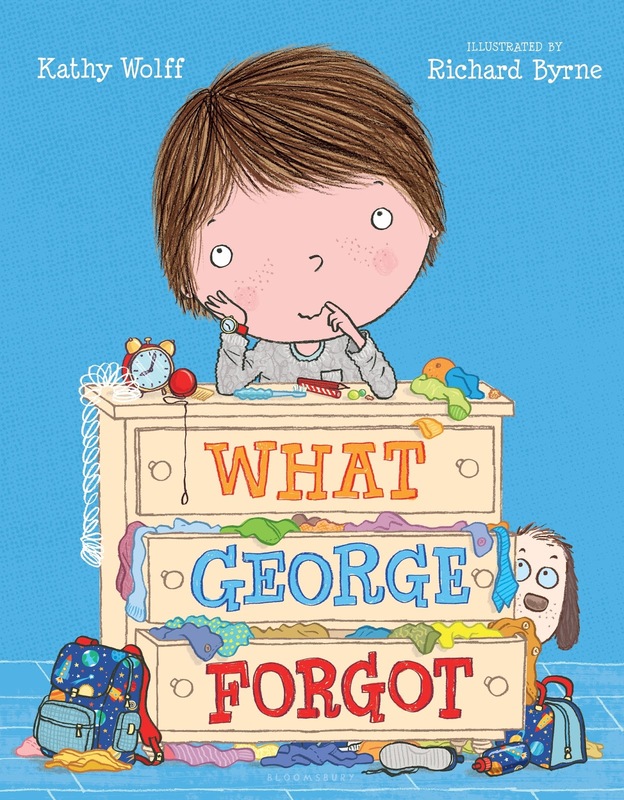 Congrats on your debut book, WHAT GEORGE FORGOT! Tell us about the story & what inspired you. WHAT GEORGE FORGOT is about a boy who has this feeling there is something he has forgotten while getting ready for school...but he's trying to figure out what that something is. It is illustrated (quite adorably, I think) by Richard Byrne. George is totally inspired by my son and his energetic, slightly mischievous personality. I'd say it was something in between. As I recall, I think I wrote several different manuscripts and sent them off to various people over the course of about a year. A follow-up to WHAT GEORGE FORGOT! What is the hardest part about writing picture books for you? The easiest? The hardest part is finding the time to do it! The easiest? Hmmm...I don't know if I can think of what's easiest, but I can tell you what I think is the best part--finishing a rough draft of something I really love. It may never get published, but it feels like a huge accomplishment to me! And that makes me feel good! I think my best advice would be to just enjoy the process. Write because you enjoy doing it and because it makes you happy. And then if you get published, it's just icing on the cake! I seem to have developed a slight coffee addiction recently. I might even be drinking coffee right now! Can you tell?! Did you notice?! Did ya? Did ya? Did ya? Did ya? My website is kathywolffbooks.com, and you can find me on Twitter @KathyWolffbooks. Kathy Wolff lives in Overland Park, Kansas, with her husband and her two funny kids. She attempts to balance writing, mom-ing, and greeting card making, all while trying to remember not to forget anything. Kathy, your book looks adorable! This looks like such a fun story. Enjoyed reading about it! Poor forgetful George! Thank you for the post! Sounds fun! So, of course, I'll look for this book - to see if George is forgetting .....his pants??? The illustrations are adorable. I love the idea of this book. Congrats! I can't wait to read it. Great post! Everyone of us knows a "forgetful George!" I love humor in picture books...can't wait to find out what George forgot! This sounds like such a fun, and funny, debut! Congratulations!